Twenty-seven-year-old Ransom Linus Martin, four months into her first pregnancy, has come to the Land of Promise church near the city of Calabar for prayers, but it is also where she will be giving birth. 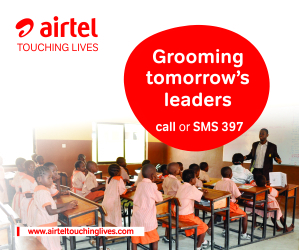 She is not alone in her choice, but campaigners are trying to end the practice which is widespread in southern Nigeria. The stocky woman, wearing a knee-length lace dress and a deep yellow beret is blunt about why she, and other women, opt for a church birth with a traditional birth attendant rather than going to a maternity clinic. “They do fasting and prayer here, and if you are pregnant you need to go to the place where there is God and there is daily fasting and prayers. “At the hospital there is nothing like prayer. They don’t pray. They only give you injections. But as you pray at the church, you get closer to God. Ms Martin believes that the church and God will offer more protection than modern health facilities. Unfortunately, there are reports of many women dying while giving birth in the facilities provided by a church. Dr Linda Ayade, the state governor’s wife, is so concerned about the possible dangers of a church birth that she is campaigning to ban the practice, and is encouraging women to instead go to health centres to deliver their babies. She has been going from village to village across the state, trying to persuade expectant mothers. 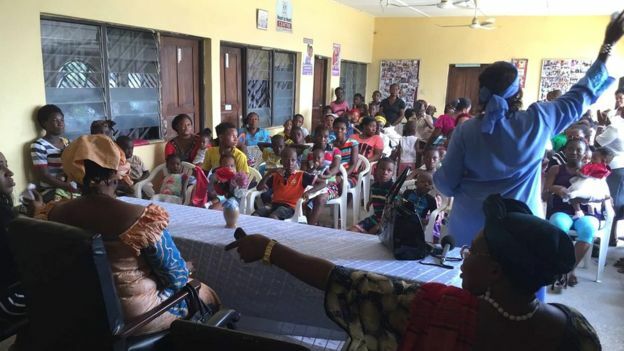 At a meeting in Uwanse village she speaks with passion in a local language, Efik, and the women are attentive, excited at being visited by a high-ranking official. Later, she explains her motivation: “I have worked in hospitals in Nigeria and I have first-hand experience of pregnant women being rushed in at critical times when they can no longer be helped. It may, however, take some time before everyone is won over, as child delivery is associated with deep-seated traditional beliefs. Dr Ayade’s status does attract a crowd to her meetings, but prayer sessions are also packed out. At the Land of Promise church, a congregation of mostly pregnant women sings and prays, asking God to intervene and deliver their babies at the appointed time. Attached to the prayer hall is the room where the women will give birth – it is small and dirty and lit by a paraffin lamp. Sister Indoreyin Sambhor is the pastor and the church’s traditional birth attendant. The short, middle-aged woman says delivering babies is a tradition in her family handed down from mother to daughter. “This is the work that God gave me to do. From my youth, I helped my mother to deliver babies. God has been helping me, and God will not allow anything dangerous or evil to happen. Twenty-six-year-old Mercy Martin Udofia, in her eighth month of pregnancy, is a follower of Sister Indoreyin. Wearing a tight-fitting dress that shows her bulging tummy, she says she gave birth to her first child in this church, and she will come back for a second time. But things are not always so rosy. 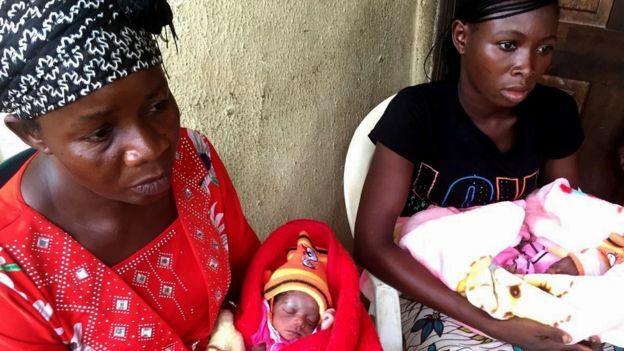 A woman recently died while giving birth to twins at a church in the Burrow Pit suburb of Calabar. A relative of the deceased said she passed away following complications arising from a retained placenta which the traditional birth attendant could not deal with. The twins survived and are currently being treated at a hospital in Calabar. The authorities are taking action to deal with the issue. 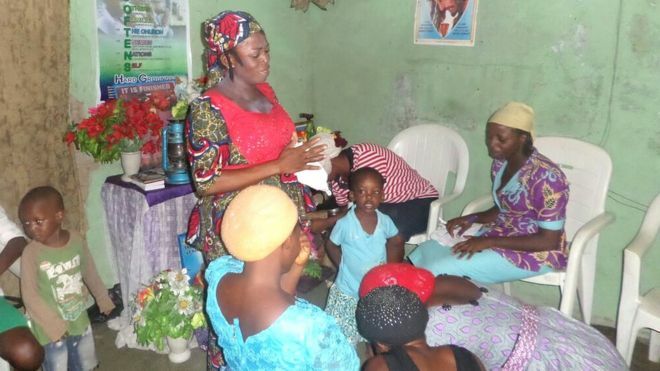 Head of the state primary health agency Betta Edu says the state government will soon be passing a law aimed at stopping pregnant women giving birth in churches and seeing traditional birth attendants. She thinks that many traditional birth attendants tell women that hospitals and health centres only carry out caesareans, and some of them could die as a result of heavy bleeding. With such fears at the back of their minds, they see the birth attendants as the best choice, as they are both closer to God and have the traditional skills to help them deliver safely. But Dr Edu argues that the practice will die out with a change in the law and the building of new health centres in every community. All those involved in trying to change attitudes recognise that a lot of work still needs to be done. “Our people are deeply religious, and some of them are so deep in the traditional practise that it’s usually very difficult to shrug them off,” Dr Ayade says. Posted by Above Whispers on April 4, 2016. Personally, I have no problem with the practice because apart from religion, most of these church maternities are run by seasoned midwives who work in recognized hospitals. I have had an awkward experience with both the general and private hospital that resulted to the loss of my first child, I am pregnant again now and there is nothing anyone can tell me to convince me that the church maternity is not the right choice. In a situation whereby you go to a hospital with complaints, and b4 u get to see a doctor, you’ll have to wait forever, it is not good. Most of our general hospitals only consider d case of someone at d brink of death an emergency, as long as u are on ur feet, you are not taken seriously and that is why my case turned awkward and before I was attended to, my child was already too weak and could not survive even after an emergency cs. In the churches on the other hand, they ask women to go to hospitals to get tests done and their medical condition is known, the place of religion cannot be removed because the psychological comfort derived by the knowledge that they are in Gods hand makes most of these women feel relaxed and less anxious about the complications that may arise, and truly a lot of these women have safe deliveries. Another thing to consider is the financial implication of hospitals and health centres, most of these women can simply not afford it. I stay in Lagos and registering for antenatal in ikorodu general hospital is in thousands, plus a mandatory blood donation from the spouse. Meaning if I can’t provide my husband I can’t be registered or what? Plus the huge cost of delivery packet and admission rounding off about sixty thousand, even for me a worker, its outrageous, let alone for the peasants we have everywhere. My husband stays far away and cannot do a blood donation so I have to resort to a church maternity, at least there, I am well assured of immediate attention when I need it and I have the assurance of Gods help. The first things should be done before these kinds of decisions are made. Let maternal healthcare be made cheap if not free and easily accessible, and let those unnecessary conditions be expunged, maybe then, we can have some faith in the medical system, but for now, banning the churches is a death sentence on lots of women, because their faith see them through it, and complications are just about one in every ten.